A chop saw is the one tool I really want to have in addition to my Mark 7. Yes, I can, and do, make compound miter cuts on my Shopsmith, as long as the project is fairly small, nothing more than a 3′ length. But for longer cuts, like crown molding on kitchen cabinets, bookcases, etc. nothing beats a compound miter (chop) saw. 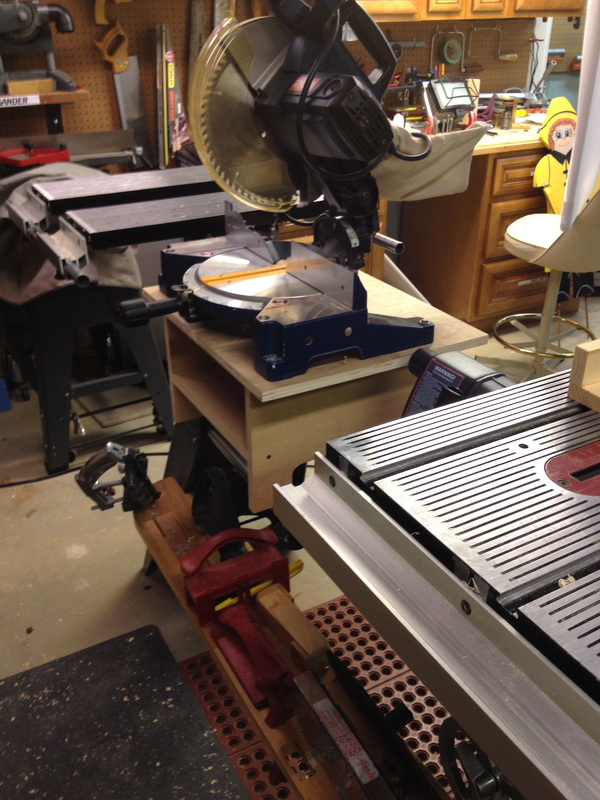 Since space is always limited, and a big chop saw base takes up a lot of real estate, it occurred to me that the Shopsmith could make a nifty base for my small Ryobi chop saw. 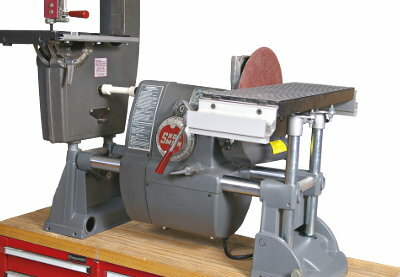 My idea is to use the main and extension table of the Shopsmith to provide support on either side of the chop saw. New Shop Deputy-funny name, great idea! I hate to review a product before I have my hands on it, but Shopsmith has something new that for me is a real “head slapper”, one of those “why didn’t I think of that?”, and I wanted to get the word out to everyone ASAP. They call it the Shop Deputy, and it looks like the perfect solution for those of us that have upgraded to the PowerPro headstock and the Double Tilt. When you upgrade to the Double Tilt, you replace the two end castings, and if you get a new headstock, you are probably looking for something to do with the old headstock. The Shop Deputy is the answer. The kit consists of two short way tubes, mounting hardware and directions. You use your old headstock and end castings to make this! This is an inexpensive way ($100-$150.) 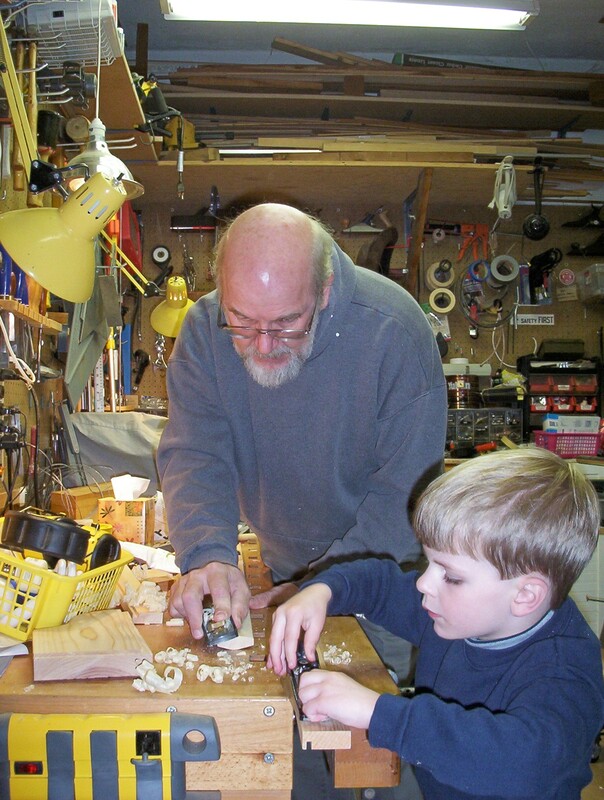 to get a great deal more use from your Shopsmith tools. I will post more here when I get mine set up. The new Shop Deputy lets us use our old headstock and end castings to make our own power base! The PowerPro headstock: a great investment for now and the future. The new DVR (Digital Variable Reluctance) motor is neither the old fashioned AC or DC motor we have known forever. Rather, it is a magnetic based, computer controlled power plant that provides optimum torque and speeds for any operation. In the past, many Shopsmith owners complained of the machine bogging down, or even stopping during heavy cuts. With the PowerPro, those days are gone. Torque is double the previous Mark V. I am able to power through cupped and twisted wood, knots, and the hardest woods with no slowing, burning or saw marks. 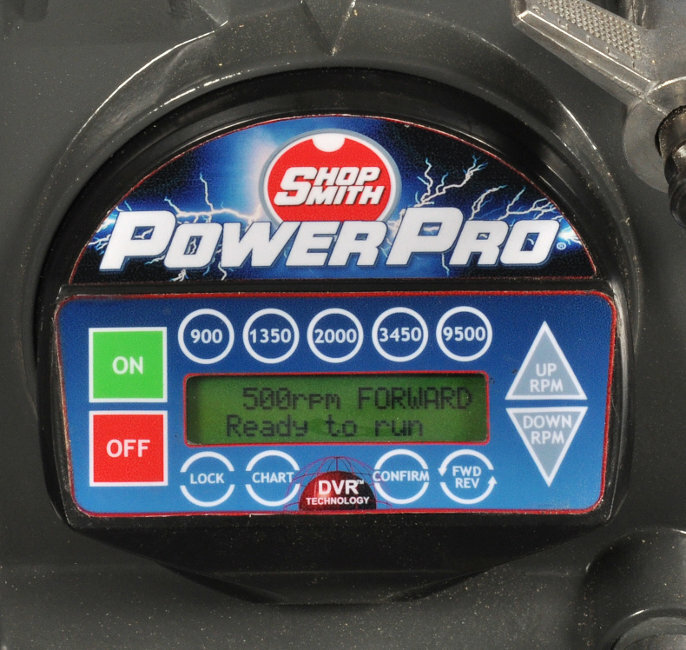 The PowerPro turns the Mark V into an excellent lathe: soft start, safety cut-out, slower speeds, and reversibility take the Shopsmith into a different league and should satisfy the most demanding turner. The speed range is now 250-10,000 rpm, and the torque stays constant through all speeds. (All previous Mark Vs offer 750-5200 rpm.) 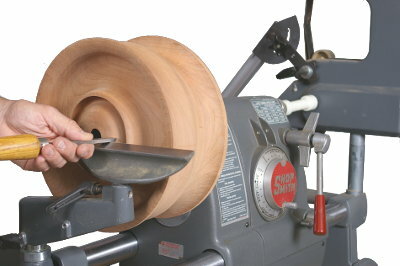 PowerPro owners can now enjoy chatter free shaping at the high end, and safer turning and drilling at the low speeds. The front push pad can be used with preset speeds, much like using the old system, or can be set for very fine detail; for example, I can choose the tool I am using, the hardness of the wood, the size of the cutter, the grit of the sandpaper, etc. While doing this may add a minute to the process, the results are so much better that it is well worth the time. This tool is a winner. The price may be beyond the reach of some, between $1300 and $1995; but considering the longevity of Shopsmith products, the nearly infamously great customer service, and the fact that a new Mark 7 sits right at $4000, I think the price is great. 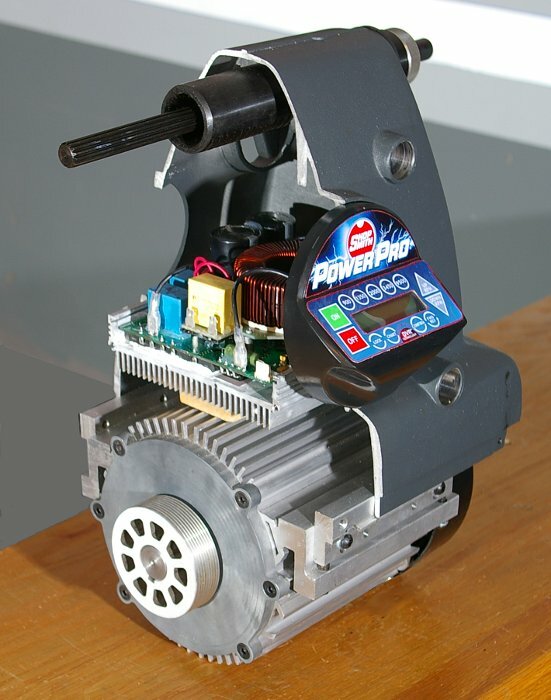 I also realized that not just my Mark V, but everything I attach to it benefits from having the PowerPro. I am an independent contractor, not a Shopsmith employee. We currently host live webinars for Shopsmith, and get paid a commission from webinar sales . But I have made my reputation and my living by telling people the truth for the last quarter of a century. For an invitation to a webinar (subject to Shopsmith’s approval), contact me; shopsmithdoug@gmail.com. Discounts are available to webinar attendees. Oh, did I mention, it is not made in Taiwan? update 10/17: While I stand by this review, I wanted everyone to know that I have taken the Kreg Jig off my bandsaw and replaced it with the original Shopsmith fence. Part of the reason is I find the old fence easier to set up for resawing and ripping, and I did not like the procedure for changing blades with the Kreg. Anyone else have comments on the Kreg fence system? Like anything else we have seen from Kreg (makers of the very successful Kreg Jigs), the Kreg fence for the Shopsmith bandsaw is well made, good looking, and works well. The fence and accessories increase the capacity of the Shopsmith table-I can now rip 9 inches wide, and with the micro adjustor I can get great accuracy and repeatability on rip and resaw cuts. Resawing on the Kreg relies on an optional curved plate that attaches to the fence that makes following your line easier. The micro adjuster is optional, and worth the $15 if you need fine adjustment capabilities. Disclaimer: We are independent contractors, not Shopsmith employees, but we earn a commission from Shopsmith for items purchased through this site. However, as we have for the past 20 years, we will always offer honest opinions and our best advice.